316 pages | 41 Color Illus. | 71 B/W Illus. "Lani Gerity and Susan Ainlay Anand, along with their cadre of amazing contributors, managed to bring Edith Kramer back to us with integrity, respect and humor, and endowed to us the scholarly perspectives and life lessons that she embodied. You don't often hear this about academic, scholarly texts, but I could not put this book down; it was simply a pleasure to read. Thank you Lani and Susan for keeping her legacy alive." Dave Gussak, PhD, ATR-BC, professor of art therapy, chair of the Department of Art Education, Florida State University, USA. "To all those students of art therapy who never had the opportunity to herald the arrival of Edith Kramer in their classrooms, fresh off the train from New York City with a rucksack of client art work on her back and her long gray braid swinging, this book is as close as it gets. The Legacy brings Edith’s work to life, revealing the potency, tenacity, and beauty of theories that form the basis of art therapy." Audrey Di Maria, MA, LCPAT, ATR-BC, editor, Exploring Ethical Issues in Art Therapy: 50 Clinicians From 20 Countries Share Their Stories (Routledge, 2018). 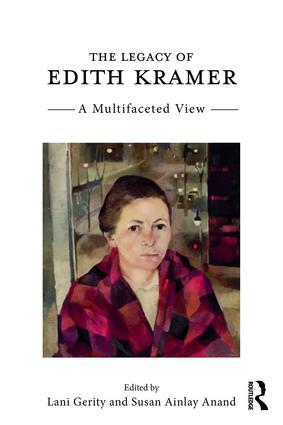 "This beautiful book illustrates the legacy of Edith Kramer as a pioneer, which is more and more relevant at this time, when art therapy is becoming global. Indeed, her words may help others to be pioneers in their own countries, focusing on what she describes as the essential simplicity of art therapy: ‘a safe place, where people may be respected and feel alive… and may perceive their world again, and make some sense of it.’"
"The legacy of Edith Kramer has been well documented in multiple publications and countless professional presentations, so why yet another book? Gerity and Anand have gathered contributions from many who knew Edith well, and hence this book provides fascinating and intimate glimpses of Edith as provocateur, critic, friend, colleague, pioneer art therapist, and consummate artist." Bruce L. Moon, PhD, ATR-BC, HLM, professor and chair of the art therapy department, Mount Mary University, USA. "This finely-rendered portrait of an art therapy pioneer is a satisfying read: intimacy, history and conviction are interwoven to illuminate ‘our Kramer’s’ theoretical contributions for generations of art therapists to come." Lani Gerity is an author and art therapist with a master’s and a doctorate from NYU. She studied with Edith Kramer and edited Edith’s Art as Therapy: Collected Papers. She maintains a website, blogs, and online groups filled with encouragement and alternative arts for artists, art therapists, and art educators. Susan Ainlay Anand is a graduate of the NYU art therapy program where she was trained by Edith Kramer. As an instructor in the Department of Psychiatry at the University of Mississippi Medical Center, Susan provides art therapy services and teaches psychiatry residents about the use of art therapy with medically ill and psychiatric patients.